We accelerate business growth, empower employee performance, and increase productivity by providing training solutions. Take advantage of local and state-funded programs to grow your business or reimburse for job retention and training. ACCORD provides specialized recruitments to match participating companies to a capable veteran workforce. We are open to partnerships that suit your goals in workforce, education or economic development programs. 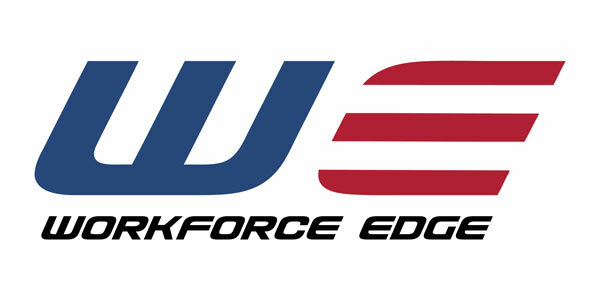 ACCORD is a strategic partner with the California Economic Council (CEC) and its business component, Workforce Edge. Our collaboration brings over 30 years’ expertise in business services, public and private partnerships, technical assistance training, consulting and management support. Together, we offer the mechanism to promote a qualified workforce and entrepreneurial spirit for diverse business communities, incumbent workers, and students. Through the use of state-funded resources, education, workforce collaborative’s and business organizations, we accelerate and execute programs that transform and impact economic development in California. Innovative and customized programs provide the right training and the right tools at the right time. Whether your company is small, mid-sized or a global enterprise – we offer a wide-range of performance-based entry-level through executive leadership development programs. Where a persistent skills gap has impacted California businesses and workers, we are advancing the skills of the workforce to match the growing needs of the modern economy. ACCORD has the expertise and is a trusted resource for small and mid-sized companies to compete and extend beyond their current boundaries and limitations. Your business may qualify for free employee training! ACCORD provides recruitment and screening assistance for your business. These services are designed to assist with your human resources needs. Also available are Employment Readiness workshops, as well as potential access to grants and funds to train new and current employees. Through our strategic partnerships, ACCORD can provide specialized recruitments to match participating companies to a capable veteran workforce. Our goal is to bring job seeking veterans and business together. Promote the benefits and ongoing investment of training for employers. ETP is a business service funded by the State of California that assists employers in strengthening their competitive edge by providing funds to off-set the costs of job skills training necessary to maintain high-performance workplaces. ACCORD offers your business full service in the development, training and program administration of ETP projects. Our experts provide initial assessment for business eligibility and walk you through the application process. Our commitment is to you and your competitive edge. As a small business you may be eligible for employer-driven, subsidized training solutions! Looking to hire but concerned with recruitment and onboarding costs? Reimbursement programs are available to offset the extraordinary costs of hiring and training new employees. Eligible employers can receive 50% of new hire wages to support training and getting employees trained and up to speed. ACCORD and its Workforce Edge division are experts accessing programs that subsidize skills upgrade training for incumbent workers, leadership teams and front line staff. We offer full 3600 support beginning with identifying local funds, providing industry trainers and administrative services to ensure training is tailored and impactful. ACCORD offers this professional credential to support employers in offering professional growth to their teams. ACCORD is prolific in their partnership designs and opportunities. There are no real boundaries, we are open to new and innovative solutions that either suits your current interests and goals in workforce, education or economic development programs or that open new opportunities for everyone to succeed. ACCORD and Workforce Edge have the expertise in collaborating and supporting the following partners: Business, Public utilities, Nonprofits, Cities, For-Profit Vocational Institutions, Labor, Education K-12 and College/Universities. Are your business services or employer engagement programs off track? Do you have an extended leave of absence of your program director or other staff? Other grant or compliance issues? ACCORD and its partner Workforce Edge provide full wrap-around services to assist in helping you meet your contractual and performance goals. We’re in it for the short term or long term based on your needs. Contact us today to set up a consultation on how we can augment your services or provide training to your team.